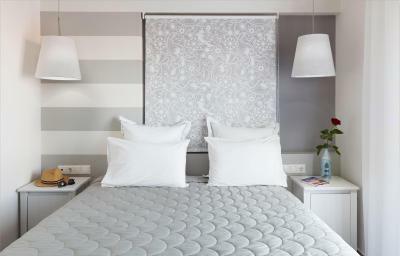 Lock in a great price for Dimitra Boutique Hotel – rated 9.3 by recent guests! In one word our stay was PERFECT. 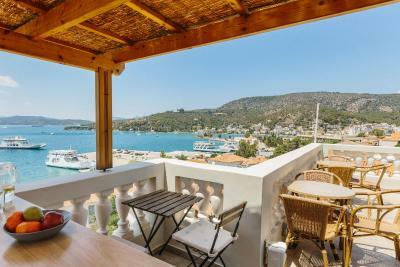 The location was central, the modern and clean rooms provided superb views of Poros Island and Galatas. 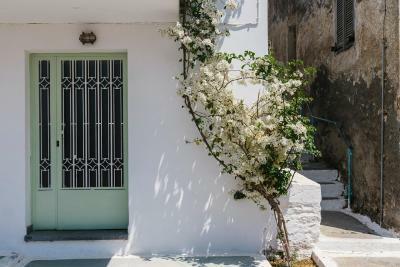 Owners - Konstantinos and Zoe and their staff are not only friendly, but efficient, accommodating to personal requirements and provided valuable information with a smile. I highly recommend this boutique hotel and will definitely be back, but for longer next time. 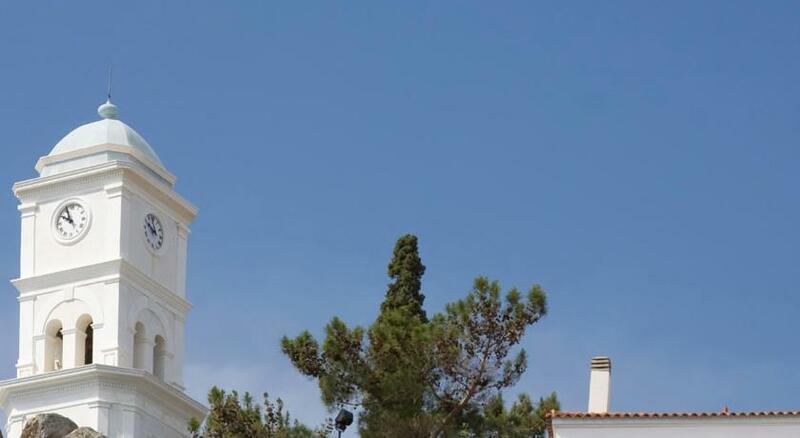 A big Thank You to everyone at Dimitra Boutique Hotel. Great room, comfortable and amazing view. Breakfast on the roof is unique. Great value for money. the place is super nice, everything is clean, the view from the property rooftop is breathtaking. 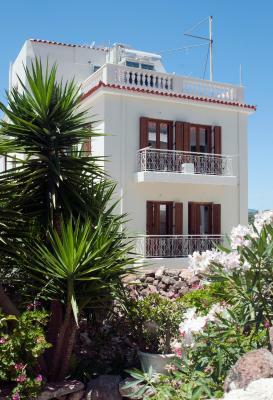 This is a wonderful boutique hotel very close to the port but far enough for it to be peaceful. The views are amazing and the staff are incredibly friendly. The highlight was breakfast on the verandah. 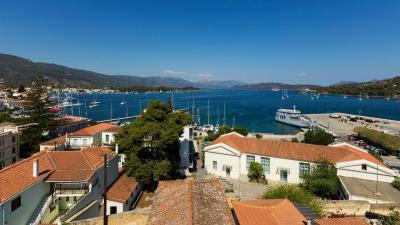 Amazing view to the port of Poros,. Nice and friendly staff. Definitely recommend! 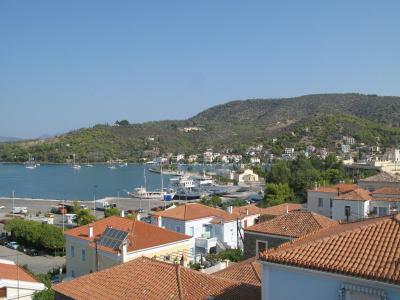 The location is great, close to a free parking and close the heart of Poros. Excellent place. 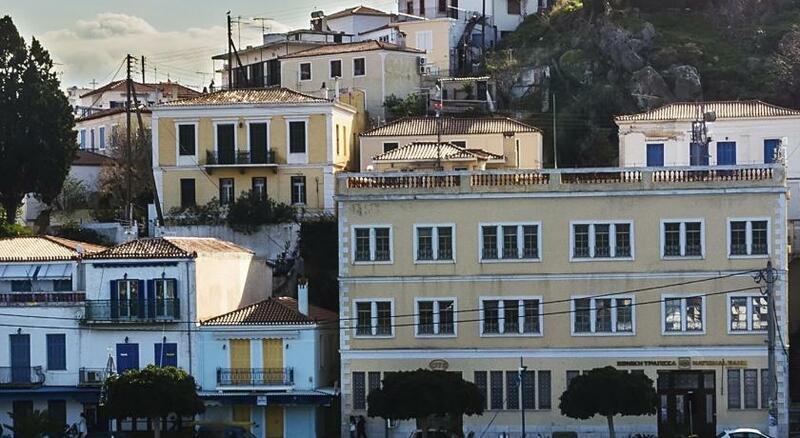 This hotel is up a few set of stairs (anything with a view is) right off from the port. The entire village is a walk away. 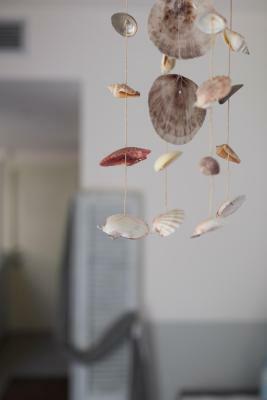 The beach is a short walk as well. The room we had had the most spectacular view. I am not sure if all rooms have such nice views. 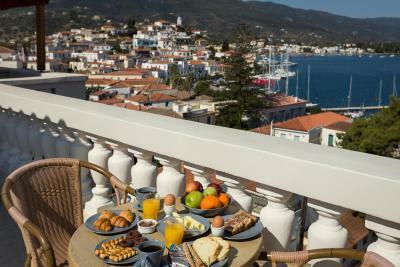 Traditional Greek breakfast on the roof in the morning lasts from 8:30-11. Lovely girl Doreta at reception was so helpful and friendly, always greeting us with a warm smile. The lady who looked after the breakfast was also very friendly and polite. Great location although a bit of a hike up the steps with heavy luggage as there is no direct access to the hotel for cars. 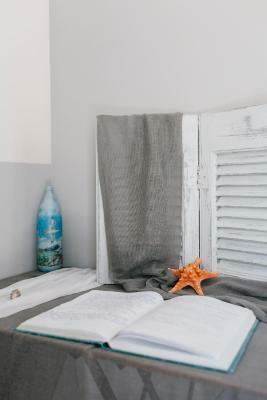 Room was bright and airy with fabulous views. 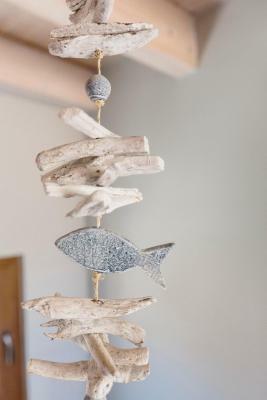 One of our best sellers in Poros! 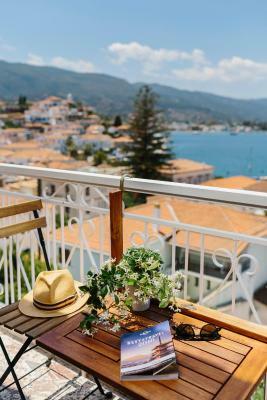 Within a 4-minute walk from the port of Poros, Dimitra Hotel is surrounded by a garden and offers rooms with furnished, sea-view balconies. It includes a hot tub and serves buffet breakfast in the morning. 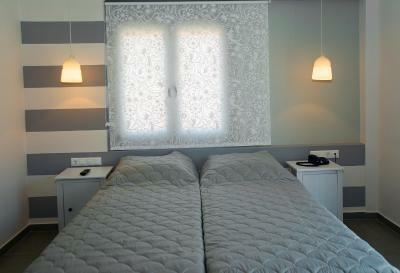 The air-conditioned rooms at Dimitra are bright and decorated in blue and white tones. 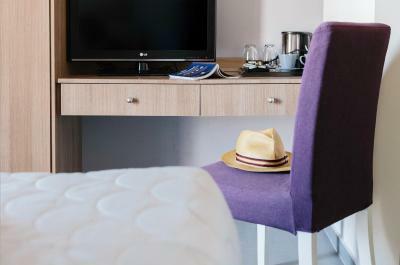 They are modernly equipped with a flat-screen TV and a computer, and they also feature a mini-bar, electric kettle and free toiletries. The bathrooms are fitted with hydromassage showers. 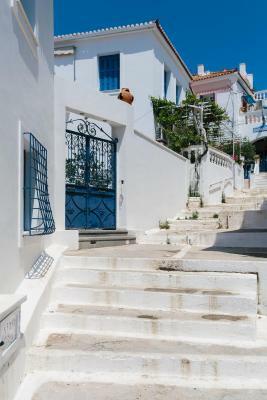 Just a short walk from the property, you will find many traditional restaurants and seaside cafes. Kanali Beach is around 1,300 feet away. Free Wi-Fi is available throughout the property and free parking is possible nearby. 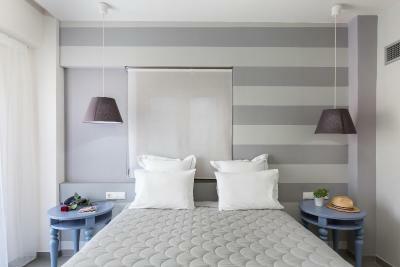 When would you like to stay at Dimitra Boutique Hotel? 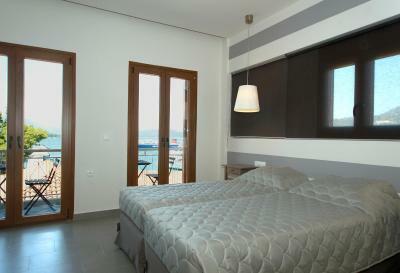 This double room features a balcony overlooking the sea, and a bathroom fitted with hydromassage shower. 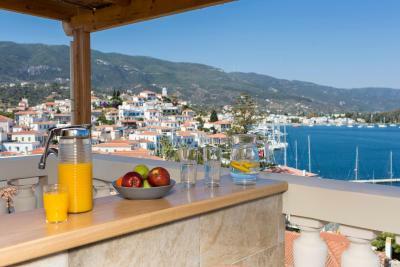 Featuring a balcony with Poros Town views, this room comes with flat-screen satellite TV and a fridge. The bathroom is fitted with hydromassage shower. 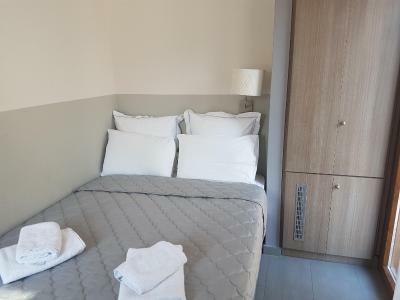 This double room features a tile/marble floor, electric kettle and soundproofing. 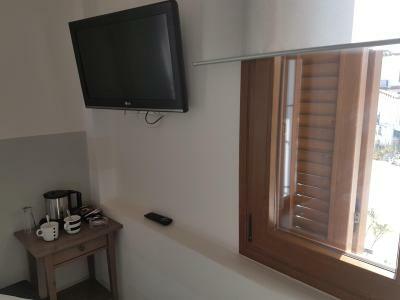 This suite features a balcony, satellite TV and computer. 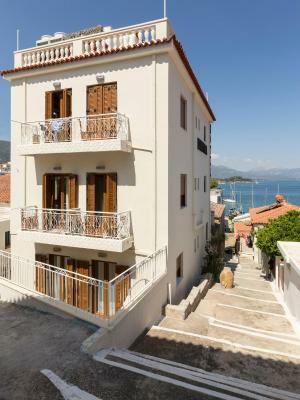 It is located at the exit of Poros Town, 5 minutes walking distance away from the main port of Poros and 2 minutes away from the ferry boats port. 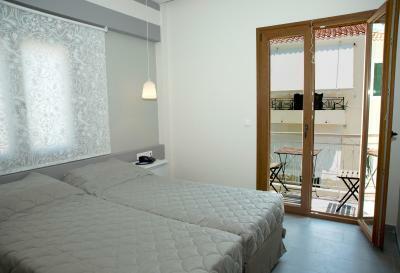 Dimitra Hotel is very close to traditional restaurants and seaside cafes. Kanali Beach is approximately 400 meters away. 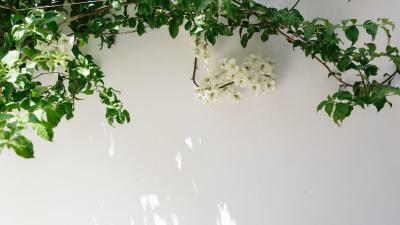 The small and attractive complex is a delight to the eye, with bright bursts of color everywhere, surrounded by a garden. 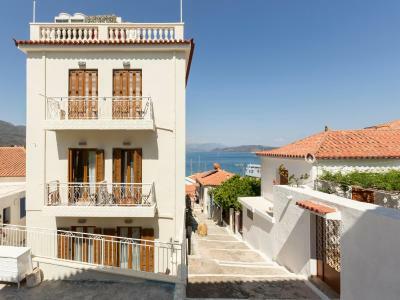 It is built according to the architectonic style of Poros Island. 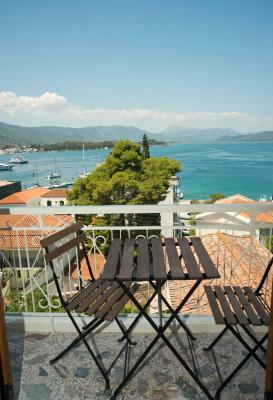 The guests can relax and enjoy the buffet breakfast from the cozy outdoor veranda overlooking the sea and the Poros Town. 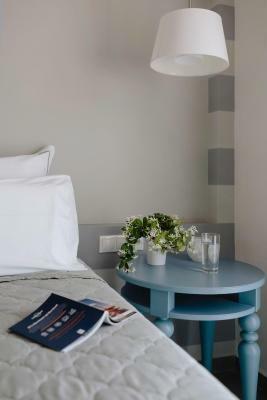 FACILITIES & SERVICES The Hotel features the following: Modern Rooms decorated in blue and white tones, garden, outdoor veranda with breathtaking views, luggage storage room, 12hours Front Desk, Wi-Fi access, daily maid service, laundry service. 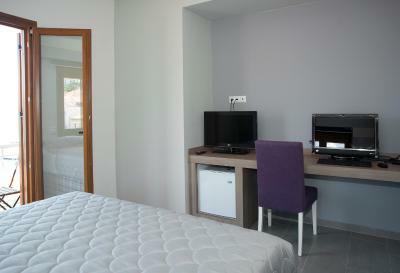 It is also provides fax machine, ironing facilities and personal concierge service. 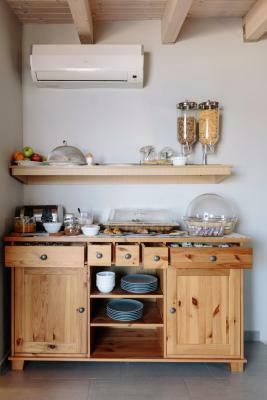 Buffet Breakfast is served at the outdoor veranda. 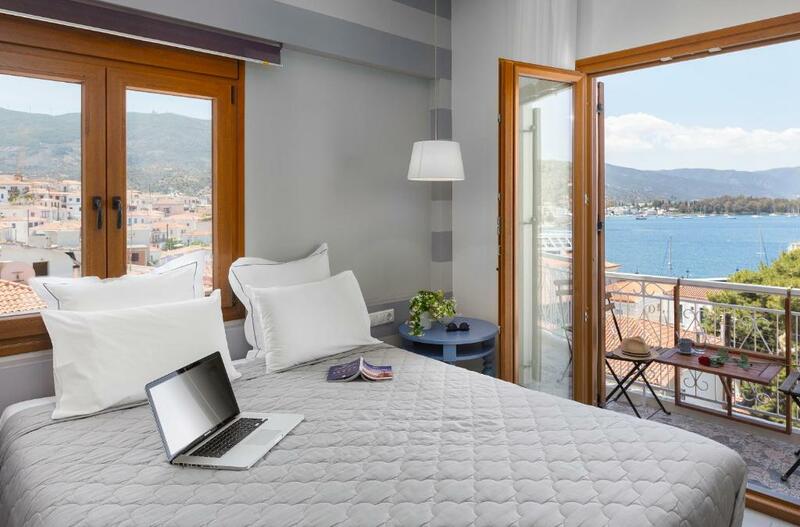 ACCOMMODATION The 10 Rooms of Dimitra Hotel combine the spirit of Poros hospitality with unparalleled natural beauty and modern facilities. 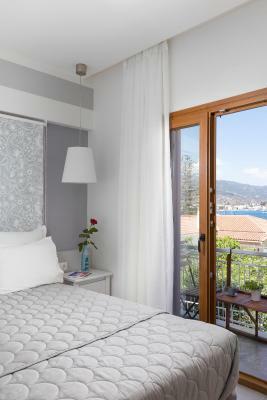 House Rules Dimitra Boutique Hotel takes special requests – add in the next step! 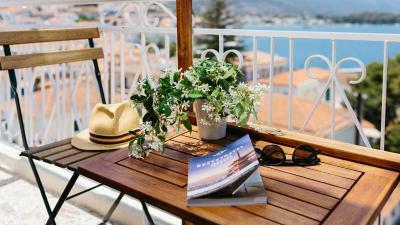 Dimitra Boutique Hotel accepts these cards and reserves the right to temporarily hold an amount prior to arrival. 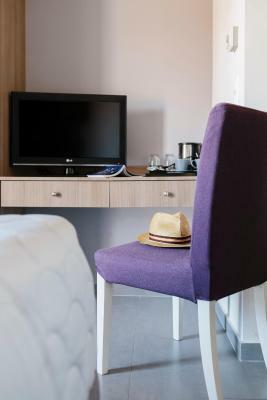 Kindly inform the Hotel 24 hours before arrival, about the exact time of your arrival. In my room, the metal bit that holds up the shower head was falling apart! I couldnt use it :/ but besides that, everything was perfect. 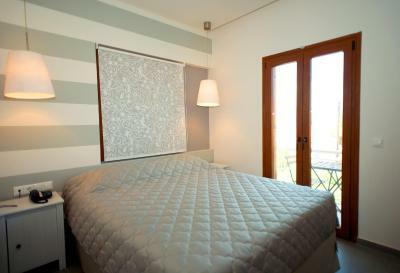 Very nice space, super close to the port and the main section of the city! Comfy bed, great breakfast, super nice bathroom and shower! The modern and nice looking laver bowl but not so practical when use as it's very small. We stay in a suite with a sofabed. The double bed was comfortable and the shower was great! The rooftop area is for drinks and breakfast but unfortunately the weather was bad when we're there so we can't have breakfast as it's too windy. The owners are so nice and very informative. They can arrange the tours for the guests. Very nice, calm and clean. The view from Our room was great. We really enjoy it the place. Fantastic hotel, lovely room, great breakfast. We would like to stay here again.. In the hotel information was told the rooms have soundproofing, but I could not notice, there was? Luckily not loud people on the time, I was there, but the sounds/normal talking was hearable. 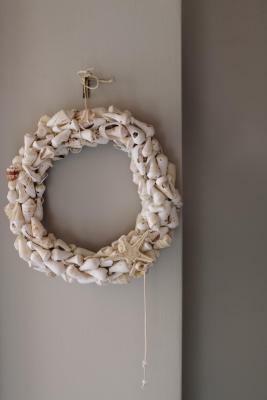 The chear in the room could have some softening materials clued under the feet. 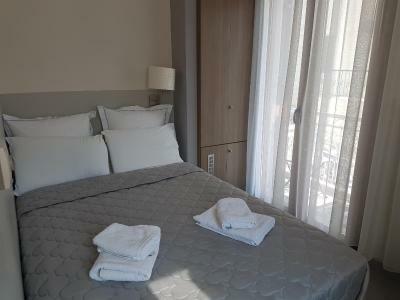 It was also told in the selling pages, that the rooms have "... a computer, ...The bathrooms are fitted with hydromassage showers." My room had the massage shower. But I didn't have the computer. And my friend in the next room had it other way round, no special shower, but a computer. So if one of these is necessary for you, please ask? The breakfast had qood, quality products. Dark bread was delicious, among others. I was told it was from nearby bakery. 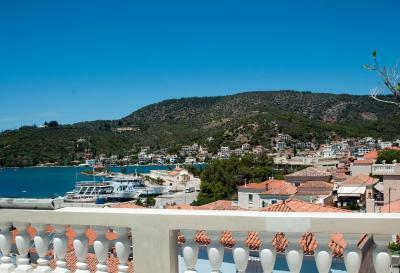 The view from the room was as good as visible in the pictures, in the booking pages. I found it very relaxing. The couple of people taking care of the hotel, reception, breakfast and cleaning were very helpful and friendly. And the hotel really has a good location. Very nice breakfast on a beautiful deck overlooking the harbor. Everything - rooms, view, location, staff - was perfect. Thank you! There was a problem with slightly 'off' milk at breakfast, but sorted out very quickly by the charming receptionist. This is a gem of a place. Rustic on the outside, very modern on the inside. The welcome on our arrival was wonderful. The receptionist is excellent, helpful and charming. 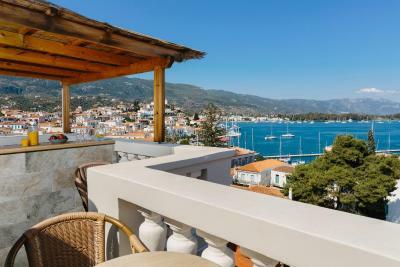 The view of Poros from the breakfast terrace is splendid.